Without a doubt, a video game can have a very comprehensive effect and influence on so many people. Stories about people who have gone gaga over a particular character are as numerous as the number of video games that have created such an impact in recent times. The pervasive influence of video games is very evident in the number of people who have these virtual entertainments in their Xbox, mobile devices, personal computers, and laptops. It only takes a quick glance around the malls and supermarkets just how massive the influence of video games is. For quite some time already, the Fallout series from the renowned gaming company, Bethesda, has seen so many people riveted to their gaming consoles or devices. Nothing draws gamers the way, a strategic quest for survival with a missing loved one’s life on the line does. As gamers become attached to the characters in these games, they often express their admiration or loyalty in whatever form they deem worthwhile. 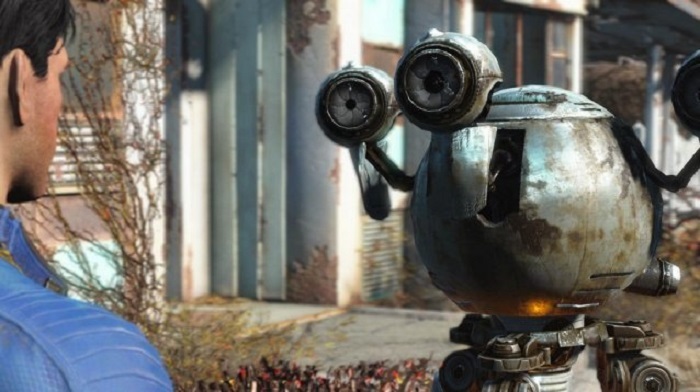 One of Fallout’s most endearing characters is Mister Handy, a robot named after its multiple hands, who functions as a butler, among many other things. The robot, also called Codsworth, is worth a story by itself, regardless of how the game unfolds for the main characters played by gamers. 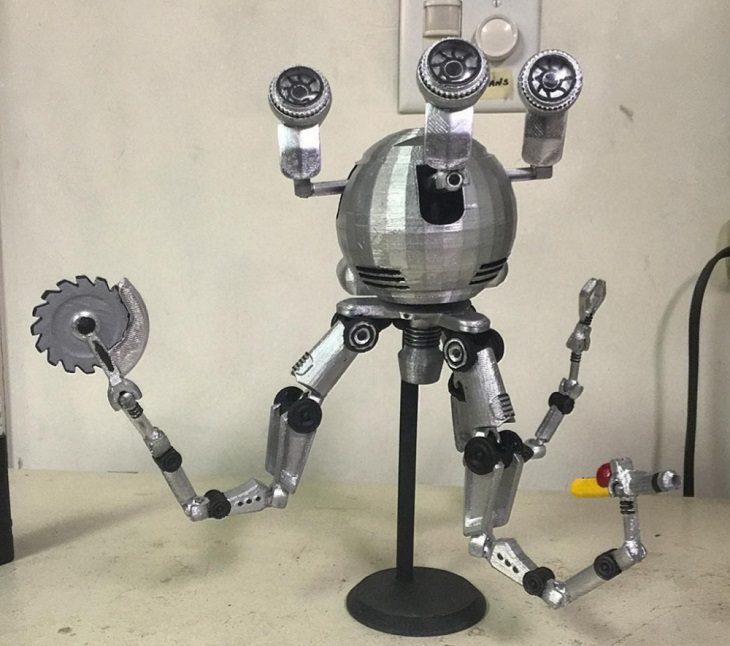 Because of Codsworth’s uniqueness, it has developed a solid core fan base that can only add to Fallout’s fame. It so happens that one of Codsworth’s most avid fans is a superb 3D technology practitioner in the person of Mark Mosinski. Mosinski’s tribute to the robot is made all the more amazing as he is an accomplished artist and photographer. With all his talents, skills, and expertise, the 3D printed fabrication of the lovable robot truly comes alive as if it just jumped out of the screen. 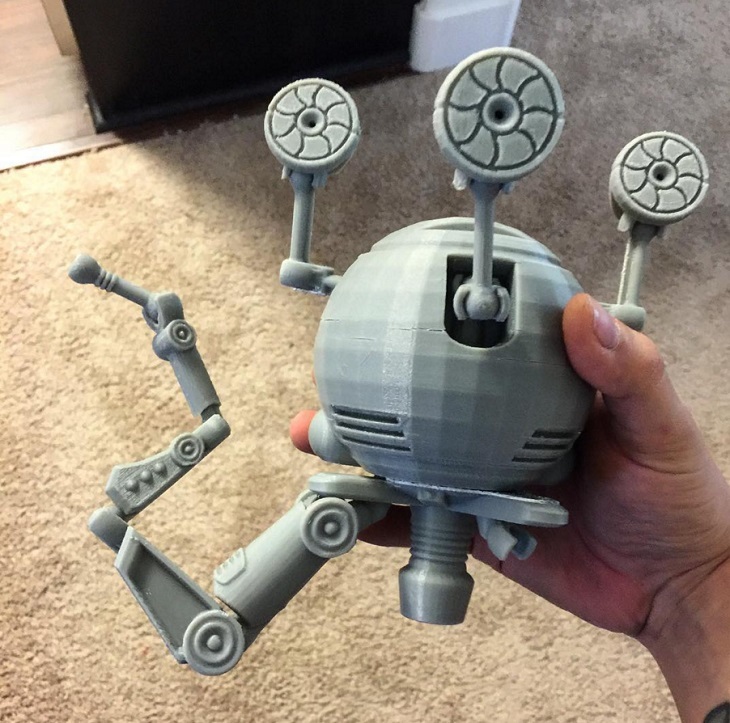 The 3D printed version of Codsworth would not have been possible without the ingenious talents of Andrew Askdall, another awesome 3D enthusiast. The very realistic rendition of this character is the result of a painstaking effort that took a good part of three weeks to accomplish. Mosinski used PLA material on his Up Plus 2 3D printer to fabricate most of the major parts. The finished product is as real as the character on the screen as Mosinski spent countless hours getting the perfect shade and worn-out look that represent the robot’s heartbreaking plight against insurmountable odds. There is just overwhelming evidence regarding the effort and dedication that were needed to produce something this detailed and accurate. Aside from the amazing 3D technology that was used in this robot, the structural design is also something to marvel at. It is definitely not the kind of lifeless figure that people will soon forget. It is clearly a product only a certified Codsworth fanatic can really achieve. 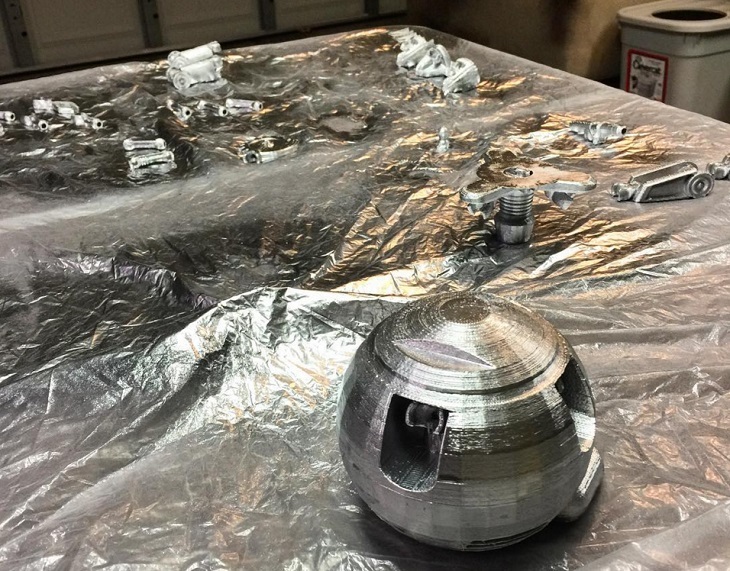 Andrew Askdall is giving any Fallout fan a chance to reproduce the same 3D printed robot as the files and instructions are all obtainable on Thingeverse. 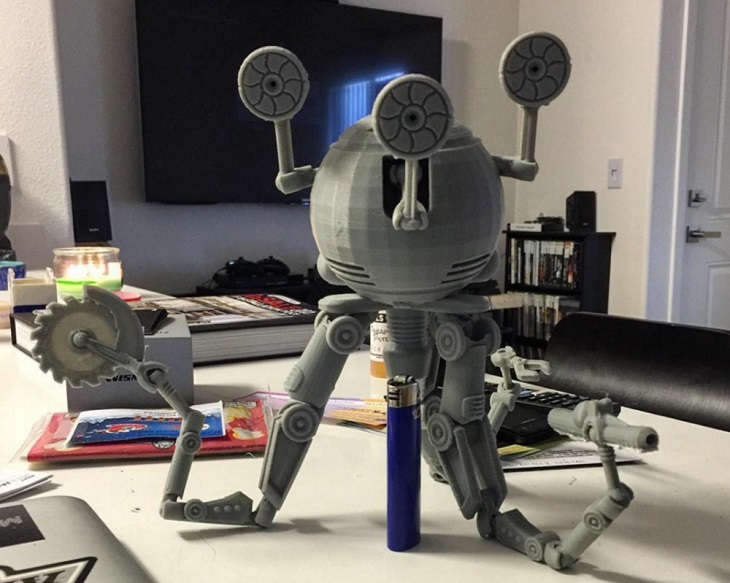 3D printing, in this case, can allow Fallout fans to change Codsworth’s rather tragic life.